While the sound of being able to create your own business from the comfort of your own home has certain appeal to it, anyone who has done it before will happily tell you that the process is demanding, and requires precise focus to make it a feasible venture. Even those who wish to convert from a physical store to a digital one, even those will need to learn more about the practical design aspects of designing an online store that follows the latest trends, design standards, and to some extent — psychological factors. eCommerce is serious business! 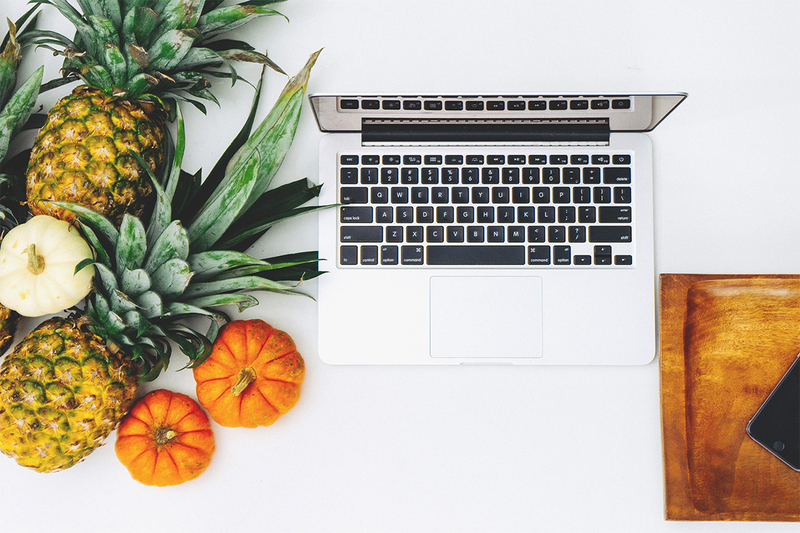 The last couple of years in eCommerce has shown us that anything, literally, can be turned into a business idea, and eventually a sustainable business that generates revenue. Steve Olenksi recaps a little bit of history of eCommerce, and looks back at two different business concepts and how they have helped shape and set in stone certain aspects of eCommerce for casuals, and for those who are in for the long-term. Hundreds of billions of dollars are being spent by Americans alone in online sales each year, the global market data would easily be up to ten times that (including China region), do you feel prepared to tap into this potential? One of the most recently inspiring stories I read in eCommerce comes from Richard Lazazzera — a mentor for tens of thousands of aspiring entrepreneurs; as well as a big part of the Shopify Growth team — who tells a story in this post, depicting the process of taking an idea — like selling Matcha Tea — and executing it into a fully profitable business within just a couple of days. The success of the story was $922 in revenue in just 3 days, but taking out the costs of the actual setup of the business ($866) left the total revenue at $56. But, at this point the dropshipping business is fully functional and any other money that comes in (apart from the product costs) goes straight into the profit box! eCommerce website designs require careful thinking and analysis process to come to terms with what your desired end result is for your landing pages, for your product pages, your contact and shopping cart pages, each page carries its own weight in this marketing, and the team at Weebly share with us some strong points on what it takes to design an eCommerce website that will attract customers naturally. Our treat to you is going to be an insightful look at nearly 30 unique and outstanding eCommerce websites templates that have been built thanks to the Bootstrap framework. Each design has been carefully decided on to guarantee unique choices and the best design versatility. Running your online store has become super simple. Some build it from scratch, some use tools and the others rely on templates. 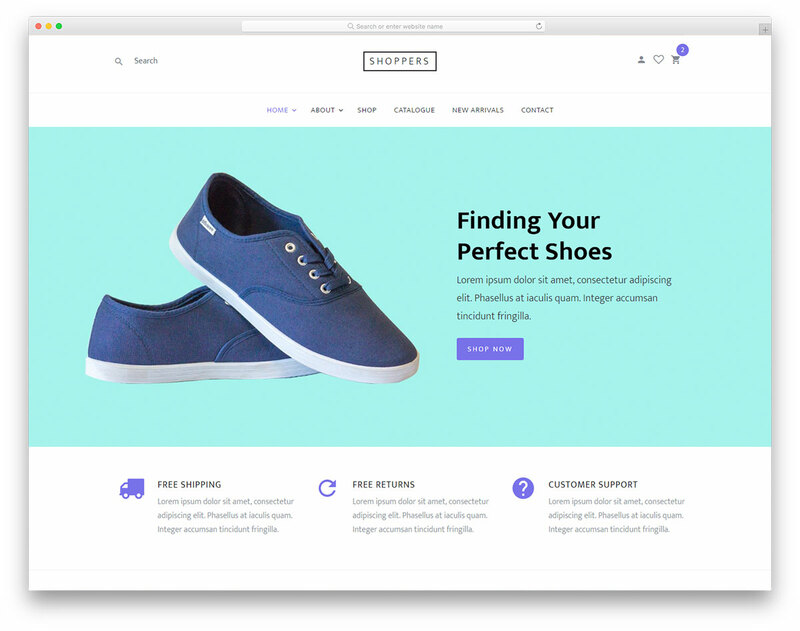 If you would like to build your own but want to avoid the hassle of doing it from the ground up, here we have a bunch of outstanding free Bootstrap eCommerce website templates. 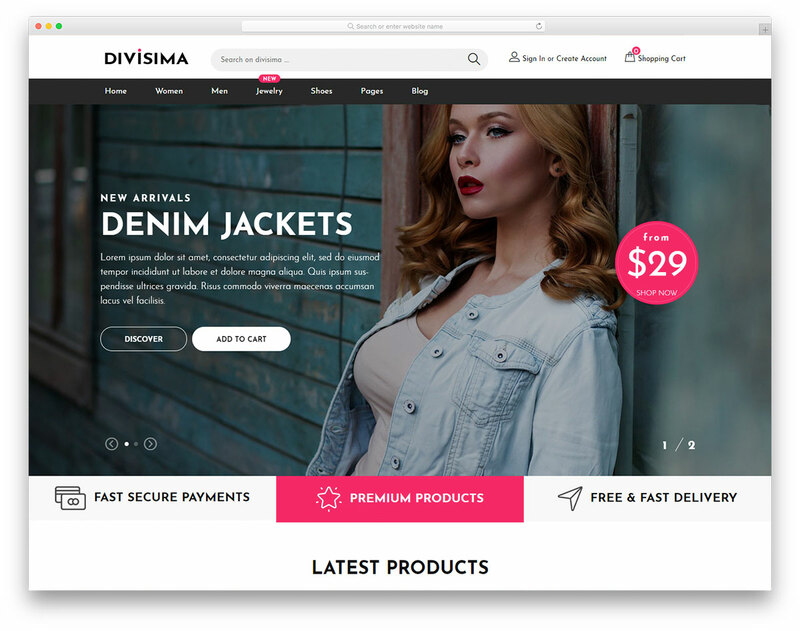 Regardless of your niche, Divisima is a versatile, adaptive and creative web design that will help you push products and grow your business. While Divisima works with fashion related items out of the box, feel free to go against the norm and utilize it for something entirely different. The features, the layouts and all the other components are there, ready and set to get your online store’s design sorted out in full. Go ahead, download Divisima now and kick off your idea with style. Modist is a stunning, simplistic and professional free eCommerce website template based on Bootstrap Framework. Full-screen banner welcomes all your visitors to the world of fashion, accessories, bags, shoes and any other products you plan to push. Use it strategically and have them hooked for a lifetime. Couple the out of this world look of Modist with your must-have items and you have a winning combination. You can also mix in a compelling blog that will get you on an even more personal level with your loyal customers. Some of the other qualities of Modist are mobile-readiness, cross-browser compatibility, search engine friendliness and an assortment of ready-to-use layouts. You can start on the web as an expert from the very start once you put Modist to use. If you are a sneakerhead, there is a good chance you would like to start your own project. Selling shoes and sneakers online can be a ton of fun. But how to start? 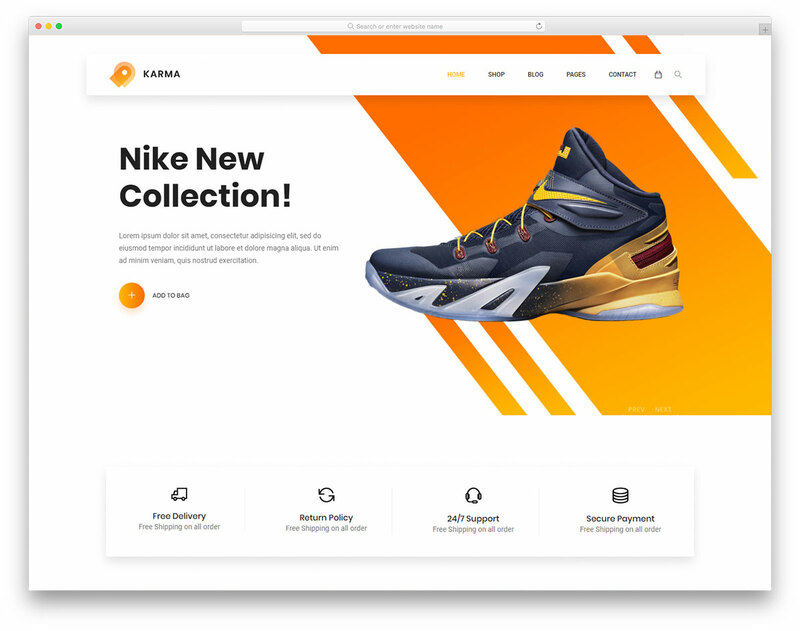 You can now create your own online store with Karma, a free Bootstrap eCommerce website template. We made sure that the site canvas is packed with goodies and optimized for extraordinary performance. On top of that, Karma also works great on all devices and modern web browsers. Whether they use a smartphone, tablet or a laptop for shopping, they will all enjoy your Karma-based web platform. Karma has a clean and creative web design that forms a strong and lasting impact on everyone that visits your page. It has a cool slideshow, sticky navigation, countdown timer for hot deals and another section for deals of the week. Do not miss the opportunity. 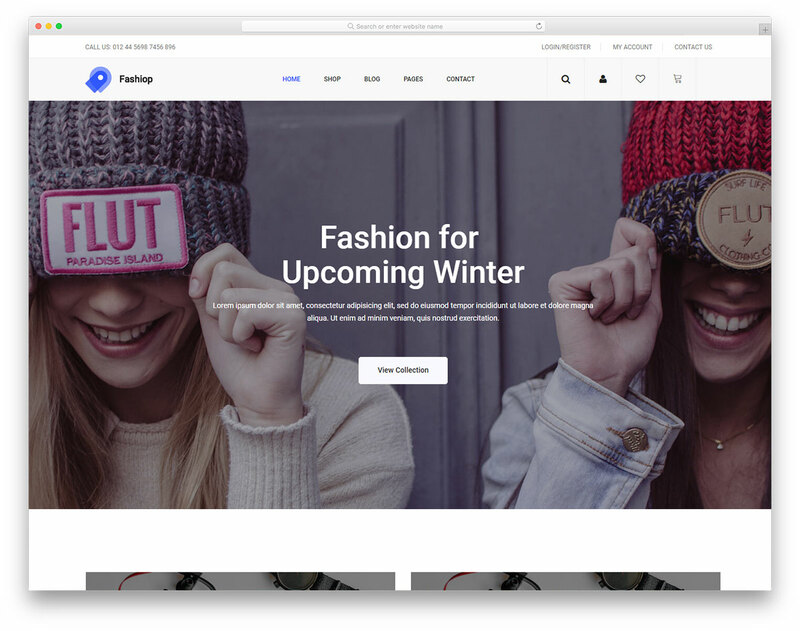 Little Closet is a fun, almost adorable, name for a free eCommerce website template. Hence the name, Little Closet works great with apparel, accessories, sunglasses, shoes, bags and other fashion products. You can utilize Little Closet for women, men and kids fashion and create a general marketplace. Still, if you would like to go niche and create an online boutique store, you can do that, too. Little Closet is ready for any and all your ideas and business plans. 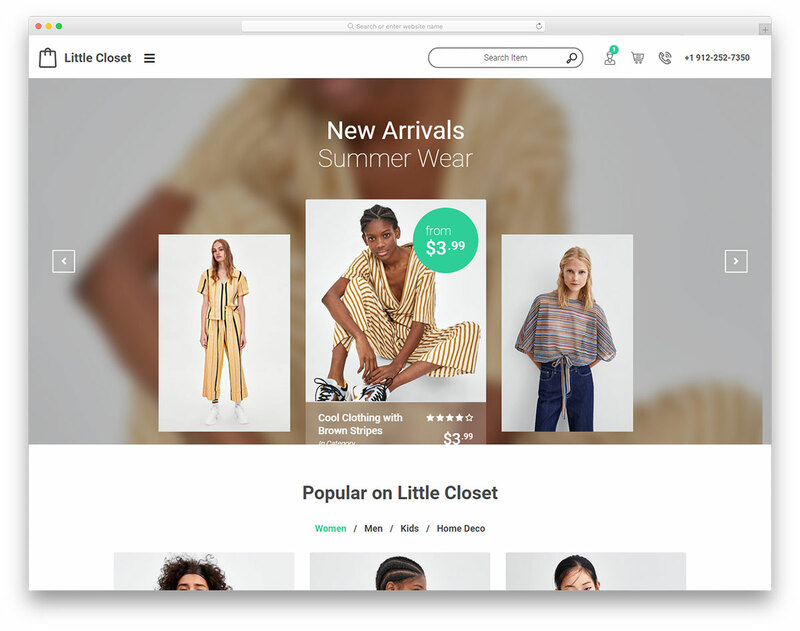 Full-screen slideshow, off-canvas menu, newsletter subscription form and social icons are just a few of the features you get with Little Closet. The tool also follows all the latest trends and regulations what guarantees your page to stand the test of time. Without further ado, download Little Closet for free now and turn it into a working online store. 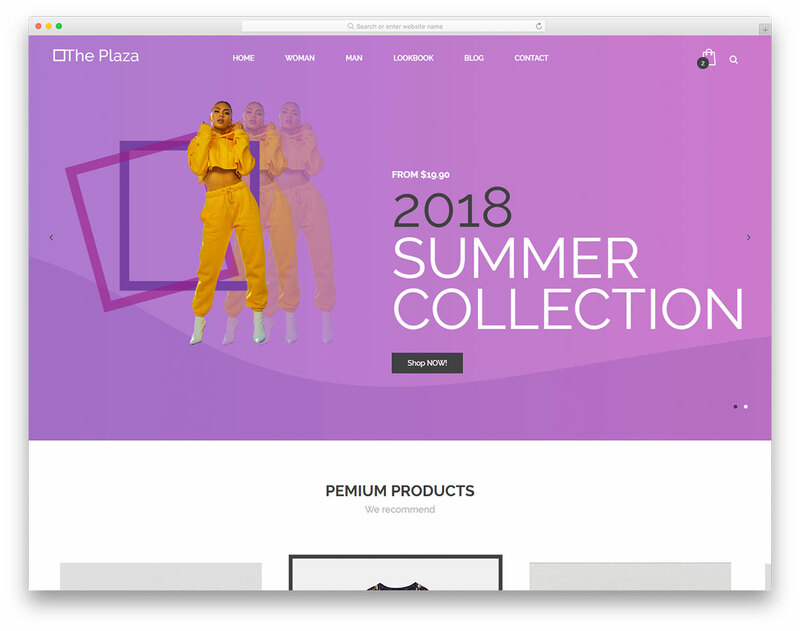 ThePlaza is a free Bootstrap eCommerce website template for men and women fashion, luxury brands and other online stores. If you need the design done for your next project, ThePlaza might be the best fit for your needs. You can use it out of the box or you can customize it to match your branding. With ThePlaza, you will surely shine online and attract new potential buyers. There are many different features that you can benefit from greatly. ThePlaza even includes cart and checkout pages for your convenience. 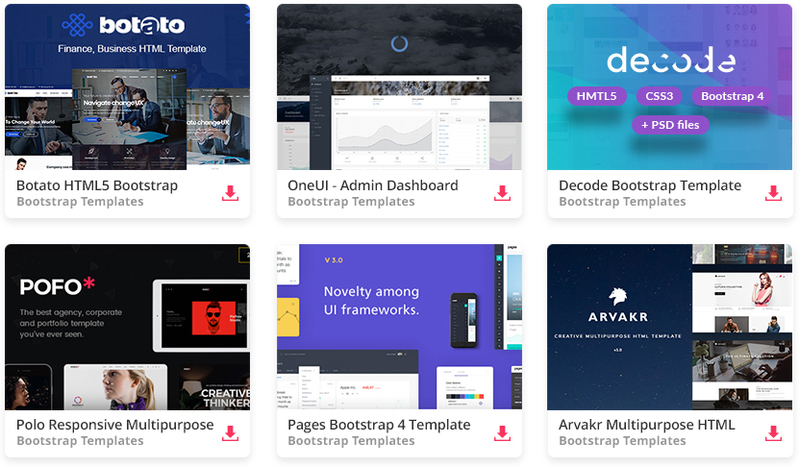 You can now realize your idea once and for all and start to benefit from the amazingness and goodies all these free templates bring to the table. Today is the best time to commence your thing and begin making moves. Right off the bat, you might think that Shoppers is only for online shoes and sneakers shops. Well, this is not really the case. 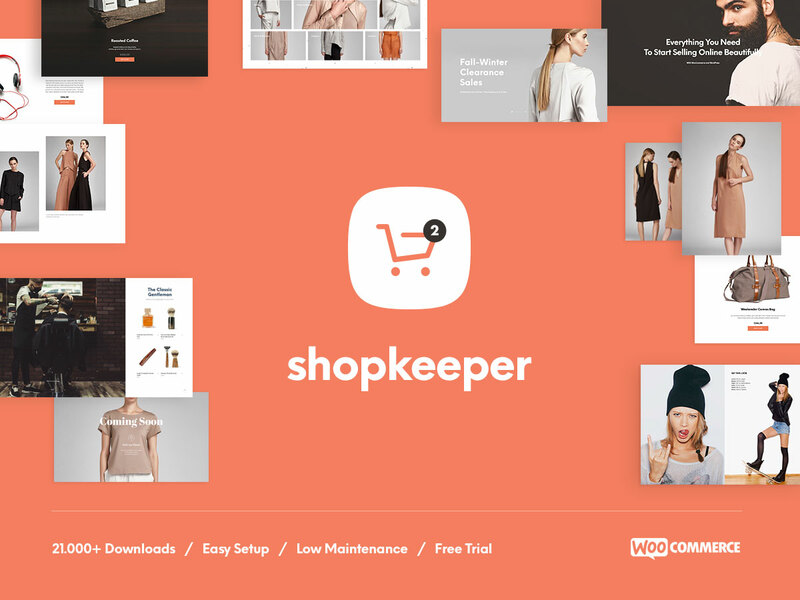 Shoppers is a free Bootstrap eCommerce website template that caters to numerous niches and even has the capability to create a general online shop. Use your imagination and employ Shoppers accordingly. After you download the page skin, you have complete control over your web space. Make Shoppers yours and tweak it to your heart’s content. Shoppers sports a multi-level drop-down menu, massive banner with call-to-action button, featured products slider and simplistic, yet sophisticated, single product page. You can capture their emails with newsletter subscription form and use the data for future email campaigns. Shoppers is just a click away, ready for you to benefit from all its goodness. When you combine fashion and shop, you get Fashiop. 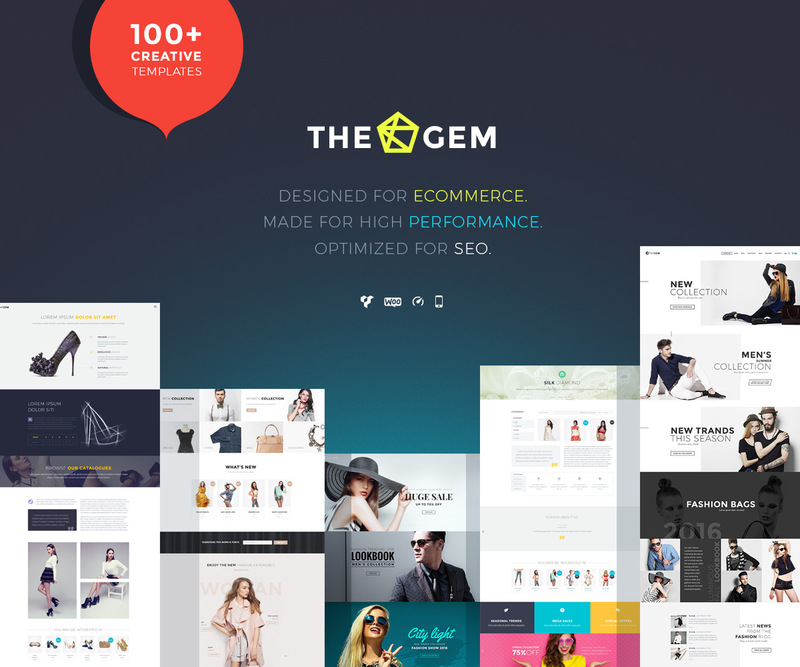 What’s the real truth behind this outstanding free eCommerce website template is irrelevant. However, what’s important is the functionality and the many ready-made layouts that it has in store for you. Fashiop is a Bootstrap Framework website template what ensures flexibility and mobile-readiness. In addition to that, Fashiop is indeed in tune with retina screens, compatible with web browsers and optimized for search engines. Along with the clean and modern home page, Fashiop also includes other internal sections for category, product details, confirmation and functional contact page with form and Google Maps. In the bundle, you will find a blog section which you can use for content marketing, as well as to announce newest releases and other useful information about your brand and products. 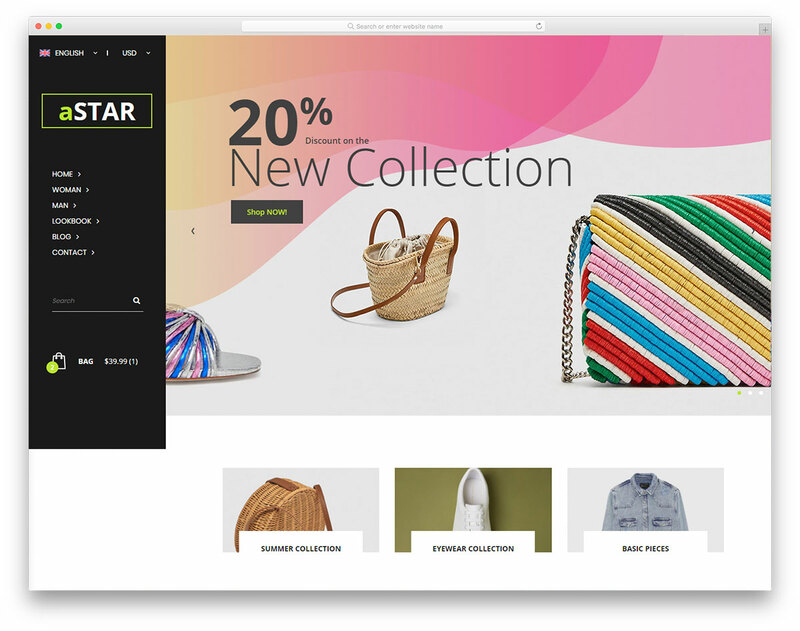 Get your name out there with aStar, a striking free eCommerce website template for building the neatest web stores. Sure, aStar works best with apparel and other related items, but you can also take aStar to your advantage when building something entirely different. No need to stick to the default settings either instead bring into being a customized version of aStar. 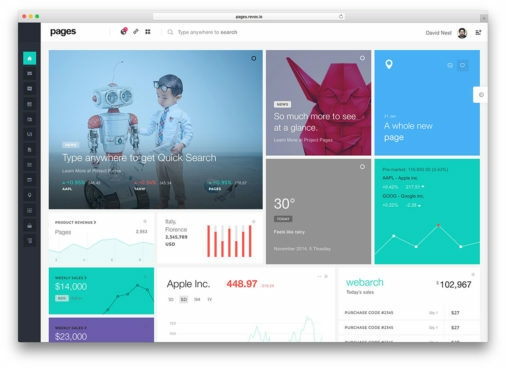 aStar features a sticky sidebar, search, slider, parallax effect, subscription form and a blog section. What’s more, aStar is also ready for multi-languages and multi-currencies. In other words, you can localize or globalize your online store if that is in your interest. But you can start with one of each and only expand when the need arises. Manage your online project with aStar and shine on the web like a star. 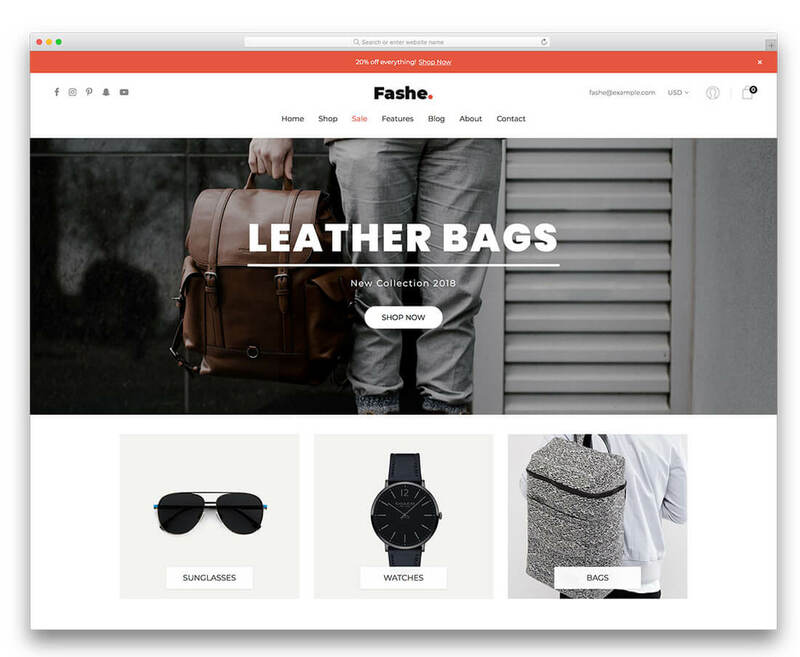 Fashe is our one of the most popular ecommerce website templates. It was downloaded over 10,000 in the first week we launched it and that is just the beginning. It is by far the most advanced and professional ecommerce templates that you can download and use for free. Are you into selling products online but you just cannot find the right approach to get things moving? Wonder no more, you just came to the right place. 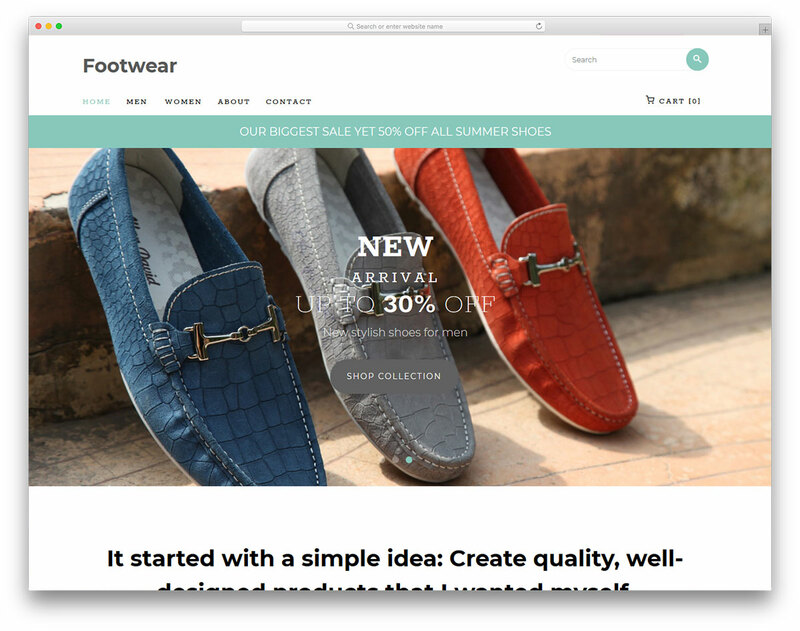 We have a set of the best free Bootstrap eCommerce website templates here for you, ready and set to help you create your dream online shop. While Essence might be ideal for fashion-related web stores, you can also comfortably alter it and use it for something different. All this tells you is that Essence is an easy to use and highly adaptive tool for crafting spectacular online stores. Essence has a clean and minimal look which instantly adapts to any device, be it a smartphone or a desktop computer. Mega and drop-down menus, neat shopping cart, social media links and newsletter subscription, these are just a few of the features of Essence. In the bundle, you will also find a blog which you can use for content marketing, as well as to announce the latest drops. For something that goes slightly against the norm, a tool that will help you stand out from the crowd, choose Amado. It is a free Bootstrap eCommerce website template with a unique and creative web design. When simplicity meets sophistication, you get Amado. A website canvas rich in features and cutting-edge performance gives you all there is you need to start your online business swiftly and reliably. What differentiates Amado from the masses is the left sidebar navigation it sports. While this sure is not the one and only such template, there are few and far between that have this approach to web design. That said, if you do want to avoid the creation of an everyday eCommerce website, you better get busy with Amado. 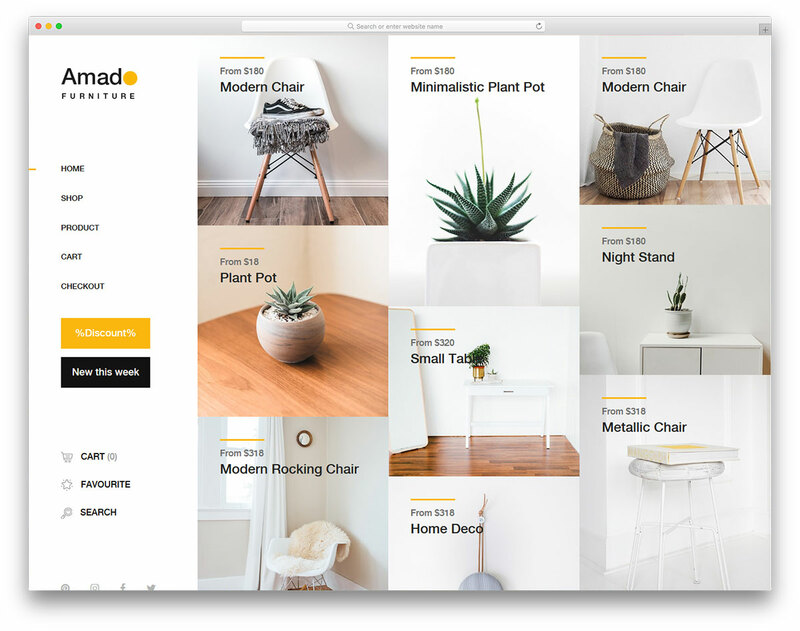 Amado creates a smooth shopping experience for all your users, those using handheld devices, as well as others who are behind their desktop computers. It is a 100% mobile-ready template, powerful and flexible to ensure stability and growth. 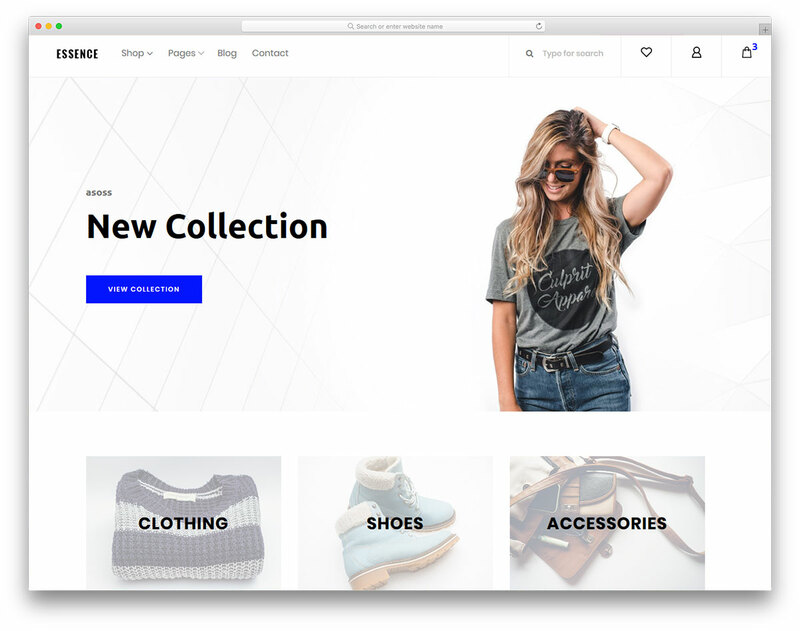 There is one thing that Sublime sure is not, a mundane free Bootstrap eCommerce website template. In fact, it is the complete opposite. It is a modern, trendy and refined tool that delivers a refreshing online shopping experience regardless of the niche you are in. Whatever you plan on selling, you, most likely, can push it with Sublime. However, Sublime comes ideal for electronic shops in general but it will adapt to other niches, too. Sublime has a lovely, framed-like web design with a cool footer reveal feature. While many avoid adding any attention to the footer section, Sublime makes sure the entire design, from top to bottom, is of the highest degree. 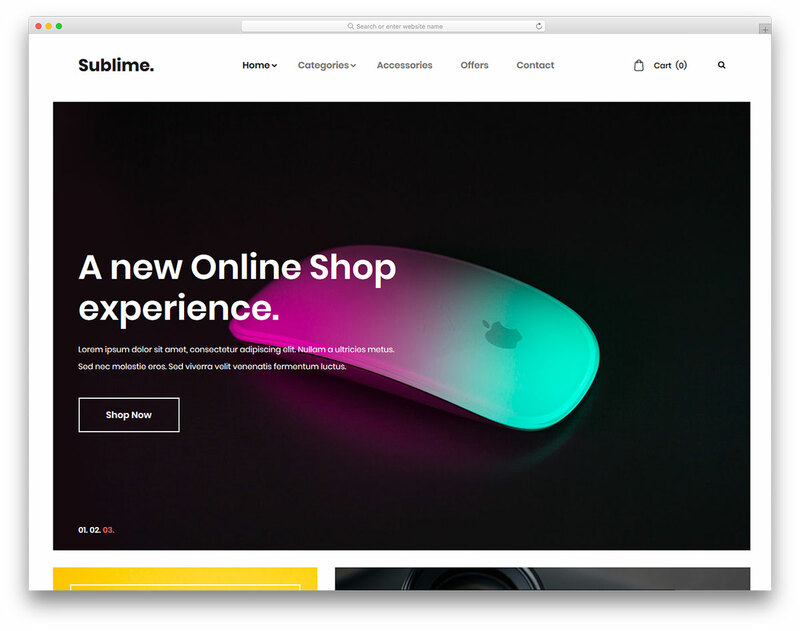 Along with the impressive index page, Sublime also includes all other internal sections a professional online shop requires to run successfully. That means a contact page with a working form and Google Maps, too. 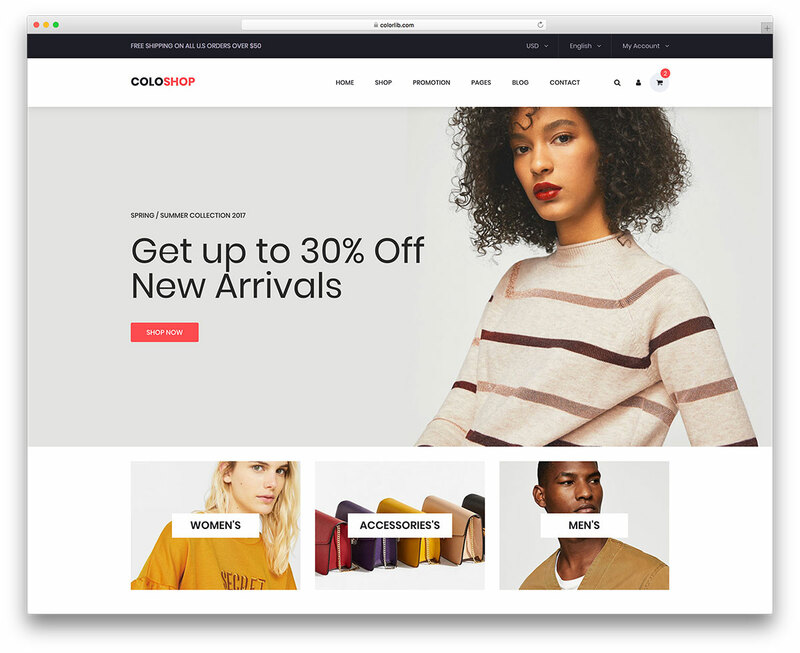 Listashop is a free Bootstrap eCommerce website template you can employ for all sorts of varying ideas you have for an online business. It gives you all the rights to use it for selling apparel, accessories, bags, shoes and the like. Of course, there is no need to feel limited in any way, shape or form. With Listashop, you can do your own thing with ease due to its beginner-friendliness and humanly structured code. Unless you would like to perform some special improvements, you can have a web store up soon with Listashop. Due to the use of Bootstrap, Listashop comes entirely flexible and extendable for you to use it however you see it fit your project best. Change what needs to be changed and even add new elements to it if you feel like it. Whatever you do with Listashop, the outcome is always this killer online shop that will attract an army of new shoppers, hungry for your items. 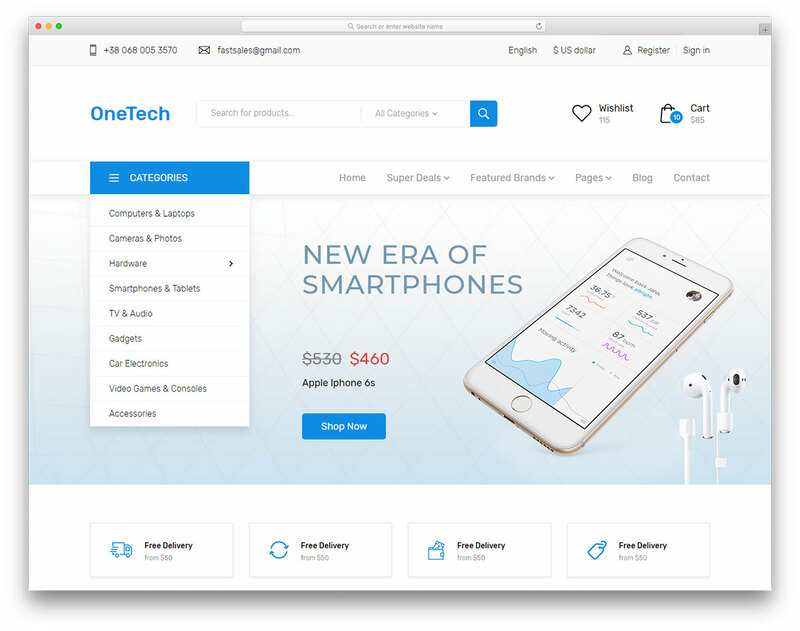 In this collection of top-notch free Bootstrap eCommerce website templates, you will find both generic and niche tools. The best thing is that both can be used for a broad range of different purposes. Not to mention, with one page skin, you can go entirely against the norm compared to what its initial aim is. No different is Footwear. While it focuses its heart an soul on selling shoes, like sneakers, sandals, high heels, you name it, Footwear does an amazing job selling other items as well. Footwear has a slider, supports video presentation, includes a working contact form and has a banner for special deals. Overall, the look of Footwear is stripped of unnecessary elements, making sure your items are clearly visible for further examination. You can add product reviews, link your page with your social media accounts and share with the world what is hot about you via the blog. Coza Store is a marvelous and advanced free eCommerce website template with superb features. You can have a clean and minimal online store selling apparel and accessories set up quickly. Coza Store is, after all, easy to use and simple to customize. On top of that, you only need to click the download button and it is all yours. From then on, the fun begins and soon after, you can have the item selling machine live and taking fresh orders. The full screen slider announces new product drops or promotes special offers and creates a strong first impression. Moreover, the sticky navigation follows shoppers and allows them to quickly jump back and forth, finding the product in an instant. Coza Store also has a quick view feature, contact form, Google Maps, back to top button and widget-rich footer section. 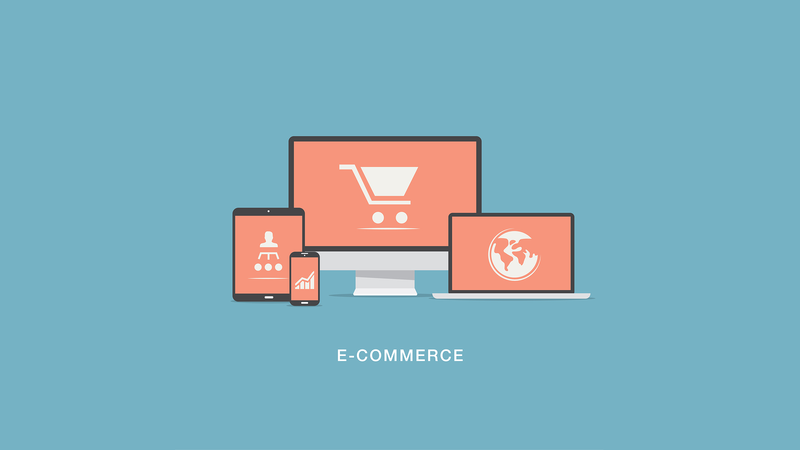 If you truly need a full eCommerce website solution which you can manage and maintain with ridiculous ease, Shapely is the one and only item that you need. It is a super versatile tool that you can remodel however you truly fancy. Shapely provides a broad horizon of different features and comes compatible with all the major extensions, like WooCommerce, Yoast and Contact Form 7 to name a few. You will need little work to complete building a website that will elevate your online store to new heights. Shapely is here to serve you well regardless of what your project might be. It is responsive, mobile and retina-ready, in tune with popular web browsers and does not shy away from localization. That is correct, you can translate Shapely to your language of choice without challenges. Moreover, with its amazing looks and regular updates, Shapely will stand the test of time. Like that would not be enough, you also gain access to free support which will help you resolve any issues you may come across. Tyche is a WordPress theme focused on the shopping and selling world. It comes with a live demo and a highly responsive design. You will get it completely free and documented! Tyche has WooCommerce integration and offers many particular features. It has shopping carts, location services, free shipping systems and login accounts. You will get a very simple and basic menu to fill on the most important aspects. A search bar and flexible diving sections for products posts is also available. Tyche lets you arrange your offers according to many categories and conveniences. Use this Colorlib creation and see its magic for yourself! Set your online business with Tyche! Bootstrap, HTML5, and CSS3 are doing so much good for the web right now. To be able to produce such a premium template such as Wish using just those three technologies is truly amazing. 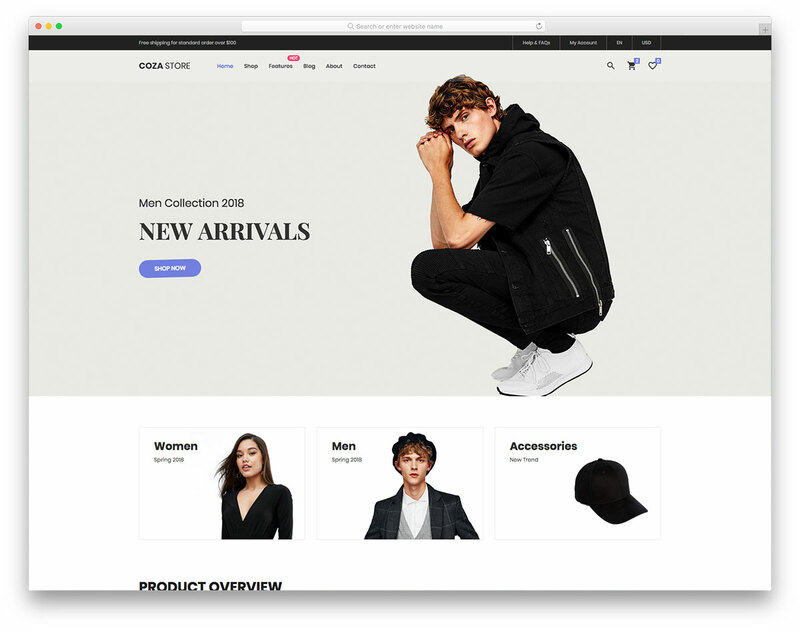 Wish’s unique slider functions, interactive sidebars and dynamic product pages will make this template a great choice for brand stores who are into clothing, and accessories. A well tailored colour scheme means that the eyes will always fall back on the products, rather than external elements. Product pages feature an elegant slider gallery for displaying as many images as necessary to explain your product in full-detail. A tab widget allows to talk more about the product, its specifications as well as display the latest reviews. The sidebar features a full site menu, and a section for discovering new product tags. ColoShop is the most popular free Bootstrap eCommerce website template ever created. It has been downloaded over hundred thousand times and based on it has created loads of websites. 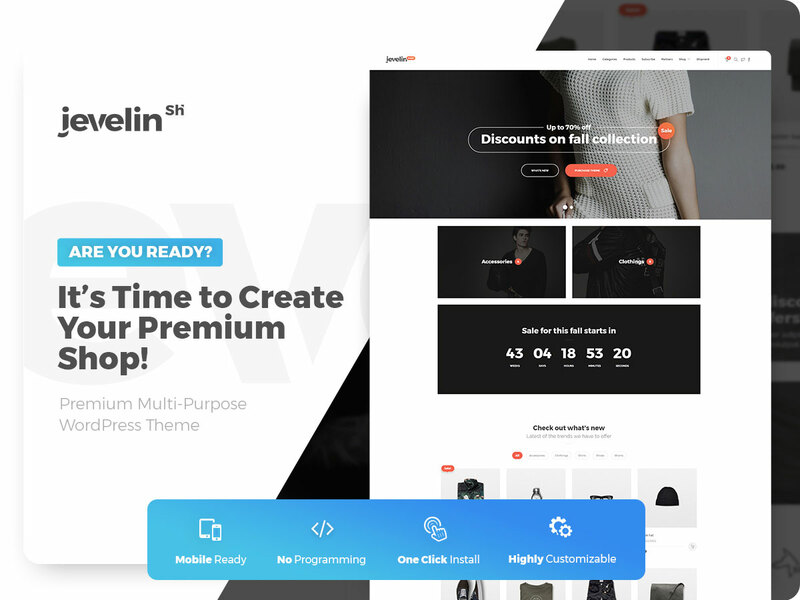 You can’t go wrong by choosing this amazing ecommerce template for your fashion, apparel, shoes, jewelry, gadgets or any other store. If you are in the fashion business or even if you are only a fan who would like to start selling clothes, Karl helps you realize your idea. This free online fashion store template gives you loads of unique features that make you stand out. Not only stand out but create a useful and easy to manage website. Bring your idea for an online project to reality and kick things off with Karl. Due to the use of Bootstrap Framework and all the new-age technologies, Karl is the site skin full of amazingness. From the features to performance, all is in the perfect order for a memorable shopping experience. Exactly what you want to create for your visitors and have them return for more of your trendy garments. 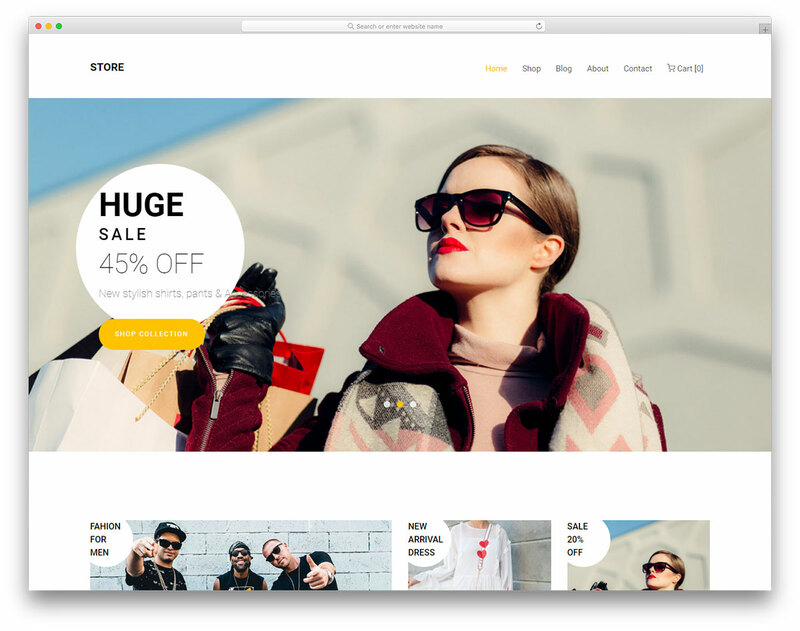 Store is a versatile and powerful free eCommerce website template with a strong focus on the fashion industry. However, this does not mean you cannot use the template for other types of web stores. As a matter of fact, we challenge you to create online shops of whatever niche you fancy with Store and share it in the comments section below. You will soon notice how comfy it is working with Store template. Contemporary, clean and minimal design for your clients to complete orders struggle-free, that’s what Store offers. Bear in mind, there is still loads more you get once you unbox Store and see what’s in the package. 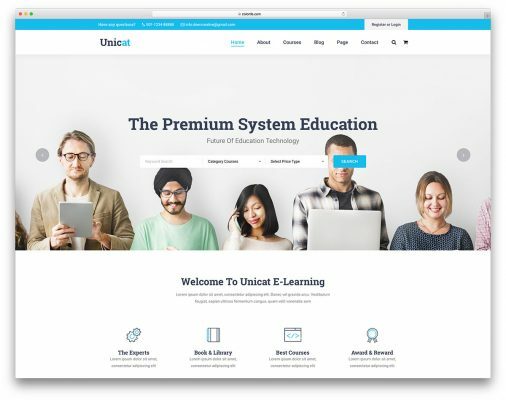 Parallax effect, testimonials, newsletter, blog and special sale section, these are a fracture of a total bundle of features you Store treats you to. Electro template fully sorts out online stores selling gadgets and other electronic products. You will be amazed by how much you can accomplish even with a free tool. But Electro and all other free Bootstrap eCommerce website templates are no average free templates. All the items you see in this collection come super close to the premium ones. There might be some small regulations that you need to follow, other than that, modify and alter the preferred tool the way you like it. Electro is a neat and stylish instrument with which you speed up the building process of your online shop. But even if you take a shortcut, that does not mean you might not appear as professional as others do. That is wrong thinking. 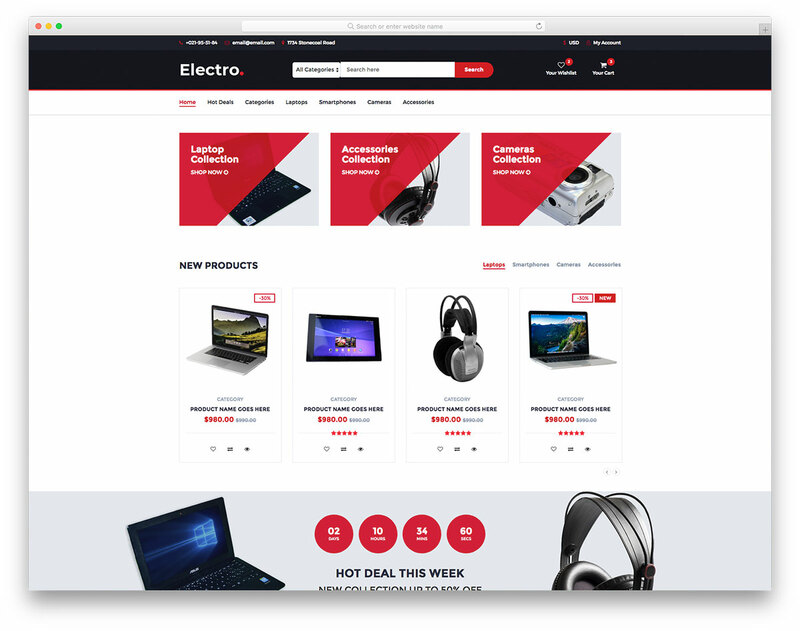 Electro gives you the looks to wow everyone visiting your eCommerce website. Persuit is a free eCommerce template which provides the foundation for almost any type of online shop. The simplistic look of Persuit easily adapts to any niche and any industry without the need to modifying it much. Just change the content and that could pretty much be it. Seriously, it is as easy as it sounds. And performing these types of edits and tweaks will also be noncomplex and unchallenging. 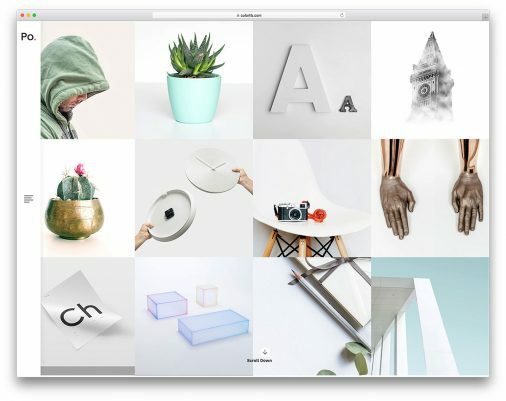 What is super cool about Persuit template is the six home page variations it comes built with. You can choose between carousel, full-width, parallax and boxed version. Other inner pages for a complete shopping experience and ordering process are included in the Persuit kit, too. E-Shop is yet another outstanding free eCommerce website template made by Colorlib. It follows all the latest trends, practices the newest technologies and guarantees first-class user experience. Once you see it live in action (check the preview), you will instantly know what all this means. It means that you are looking at a powerful but free canvas for the grand web store you intend to construct. 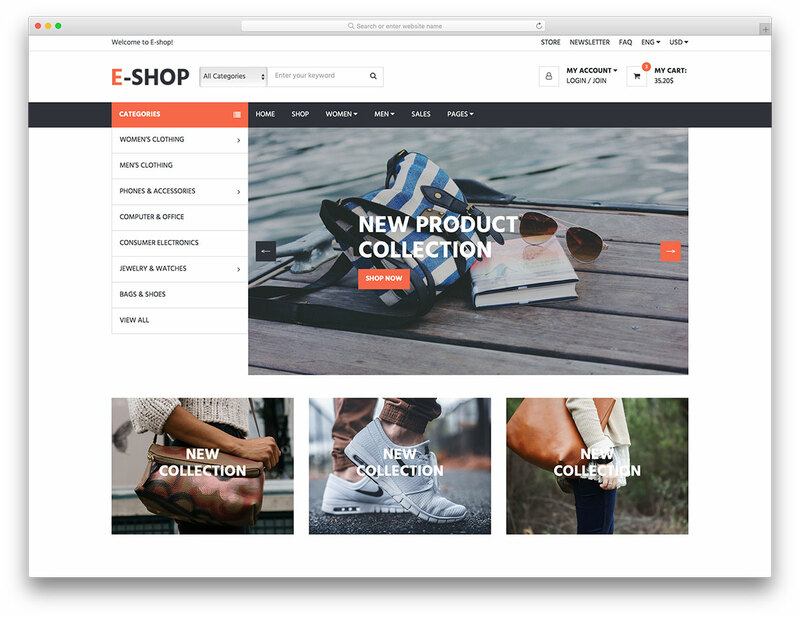 Save yourself time, effort and money and pick E-Shop template now. Sliders, deals of the day, newsletter widget, mega menu, the list of qualities goes through the roof. It is all in the name of your convenience, to produce the demanded online store as fast as possible. With E-Shop, you can achieve that without breaking a single drop of sweat. Where to find images to make these templates? Here are free stock image sites that we use to find images for our themes. I wanted to know if you guys provide any support, Additionally, Are they based on Magento ? 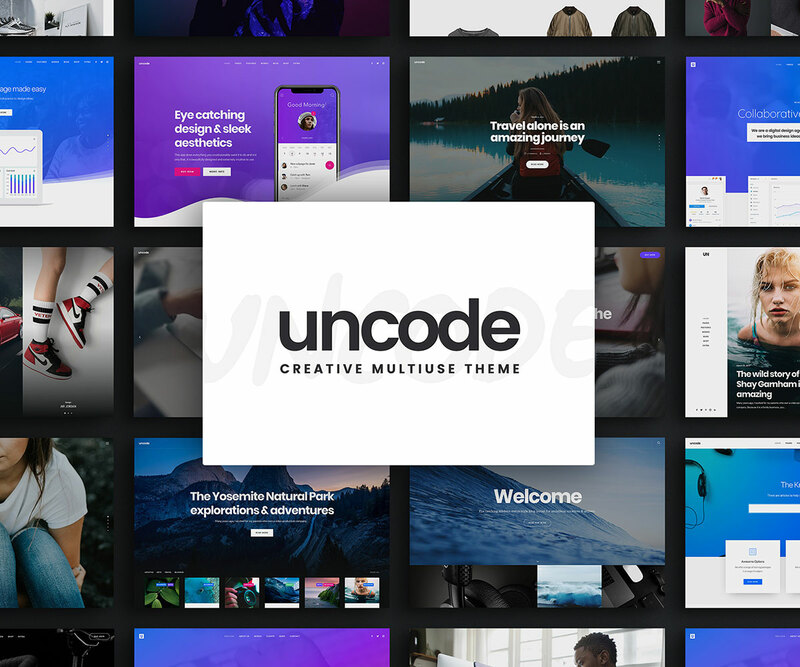 We do offer support for our free themes that you can see here. All of those themes are for WordPress and none of them will work Magento or any other platform. Does these themes support RoR Frame work. Few of the template i have used personally such as eshopper. This theme is based on bootstrap frame work. After all a good collection of bootstrap template. Hiiii All these templates can be further extended by applying some java frameworks??????????? Hi Aigars, it’s excellent collection of bootstrap website template. I’m highly impressed with the quality of these free templates. Thanks a ton. The ColoShop template is so neat and accurate, felt in love with it! hi, i dowloanded light a flat web site from your site, can i use this website whitout payment ? or sould i pay somthing ? because writen all rights rezerved ? and do u have any company website templates? We have loads of them and you can find them here. Just wanted to know the steps involved in importing this template to our workplace, is there anything special is required before we can use it. Is there any guide which tells how to use this template. Because i imported this as a project and not getting the similar view as i am getting here in preview. Can i get a bootstrap ecommerce theme that markets food stuffs not clothings and accessories? thanks i will be so glad to hear from anyone. Try changing images to food and you will see how these templates completely transforms. Images are what makes them look niche specific and not they layout. 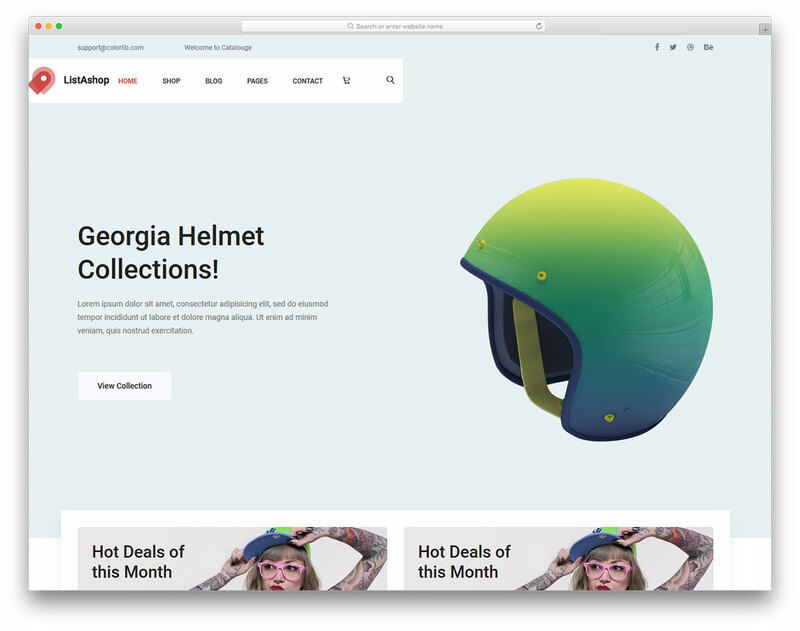 Wow, Really great list of a free bootstrap e-commerce website templates. I love it. Hopeful to see your new website templates soon. i wanted to download markito temp by your donwload link at above but it open another website i lost the link to can find this free template as you promise this page!!! if these donwload links not works, was just to advertisement why you didnt sat that at begin? how can i download this template free? YOU are liar and doing fake things? i never trsut colorlib one more time… you are stealing people’s time by lies as if promises!!! It appears to be discontinued, so we removed it from the list. 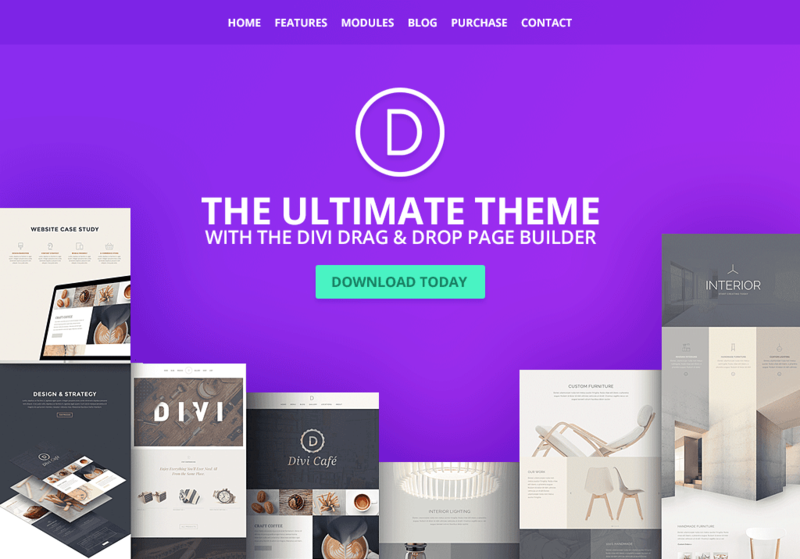 But we have loads of other cool ecommerce templates available that you can find here. hello is that qsuelqun a little help because I don’t know how to install this. notting works with colorlib adverts as free parts!!! never i could get any help or freethings from your name till now… just for fake… no links works at these free temps, no products pages open not. notting about forms and emails… just a trash cos its free you never derserve more from colorlib if you a student or beginner or poor…. what you meaning free template? ” template” its was just a free picture of interface some trade… and what they says “free cheese but the mouse is at the trap”. thats all… i read some comment here, almost all as partner of colorlib already, so i wont trust comments or colorlib again!!! Could you please be more specific on what doesn’t work for you? We have over 500 unique templates and all are free to use. You can see them here. We feel good to get your services. You are really amazing and and interesting web designer. But you should made it with payment gateway. There are platform independent HTML templates that you can further use to any platform you like. 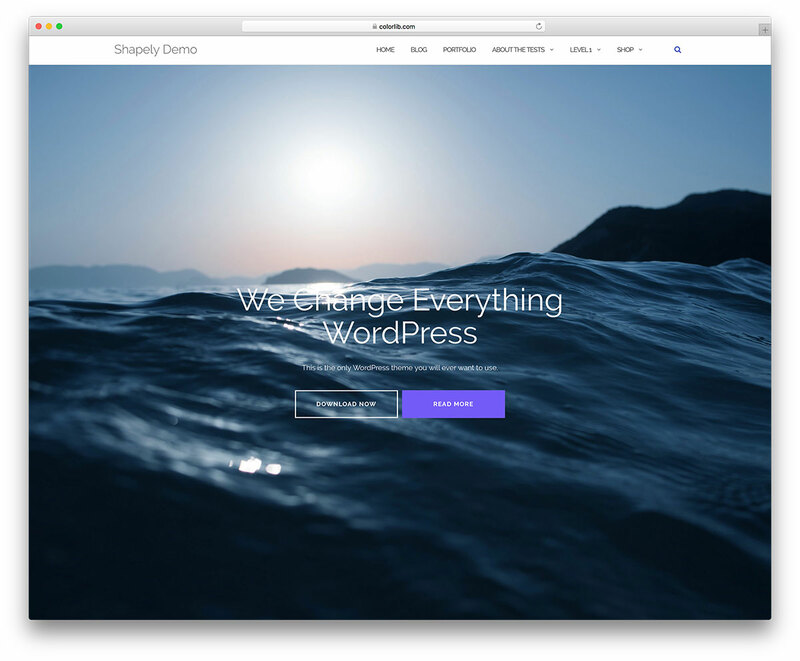 If you are not a developer yourself and want a ready-made solution we recommend looking into Shopify or some WordPress theme.